Sinn Féin have nominateed Councillor John Brady as their general candidate in Wicklow. 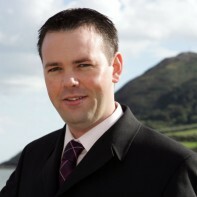 Brady was first elected to Bray Town Council in 2004 and is also currently a member of Wicklow County Council. This is a second general election campaign for the self-employed carpenter. In 2007, he was eliminated on the fourth count with just under 5 per cent of the vote. Among his other constituency work, Brady was active in securing premises for Bray Boxing Club, the home of world champion Katie Taylor. Students and young voters are generally voting against Roche.